HSCN Connectivity - Exponential-e Ltd.
future-proof NHS with Stage 2 HSCN Compliance. The Health and Social Care Network (HSCN) is a new data network for health and care organisations, replacing N3. 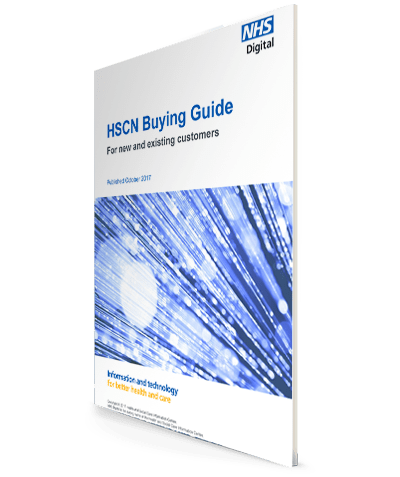 HSCN provides the underlying network arrangements to help integrate and transform services by enabling organisations to access and share information more reliably, flexibly and efficiently. Healthcare organisations are now able to obtain connectivity from multiple suppliers in a competitive market place, allowing them to regain control of their service and provider choices. Understanding the dynamics of technology and its continual evolution - whether for the purposes of forecasting future needs, or adopting technology infrastructure developments to fuel transformation - is a key challenge for innovators, senior managers, and policymakers. Today, technology is still thought of as the answer to all our problems - technology is a means, not an end. Elements of the future public sector need to become outcome driven; lower cost, agile by delivery, efficient workflow, and security by default. Flexibility - flex bandwidth across services, sites, and applications e.g. prioritise critical clinical applications over other traffic. Responsiveness - industry‐leading 96% customer satisfaction rating from over 3,000+ customers. Solutions that support better patient outcomes, facilitate mobile working for clinicians, and remove the burden of maintaining and supporting legacy systems, through Faster network performance delivering future‐ready IT. Cost-savings and flexible pricing, enabling healthcare organisations to reduce capital expenditure and increase financial sustainability. A multi-services platform that enables customers to prioritise services and departments, ensuring that they’re allocated sufficient bandwidth during peak times and prioritise critical clinical applications over other traffic. HSCN certified connectivity access to HSCN central services, as well as two geographically diverse Crown Hosting Data Centres.